infrastructure, with a total financial outlay of around $ 46 billion. since development of the first major power plant development. significant constraints which caused severe energy shortages. reduced to Rs. 217 billion (0.7 percent of GDP) in FY 2016.
achieve the long-term vision of the power sector. 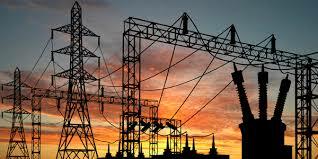 of transmission and distribution losses. reducing the basket price by introducing generation on cheaper fuels. necessitate rationalization of the electricity tariff.